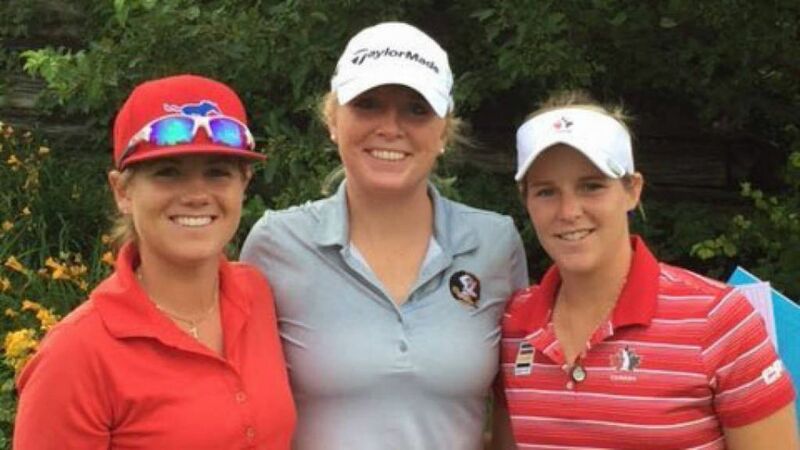 TALLAHASSEE, Fla. (seminoles.com) – Florida State’s Lydia Gumm shot scores of 69 and 74 in two rounds of stroke play and qualified in eighth place for the match play portion of the 116th Women’s Western Amateur Championship at the Dayton Country Club in Dayton, Ohio. Gumm finished at 1- stroke over par and only two strokes out of the stroke play lead during the first two days of one of the most important championships for amateur golfers. Gumm (Radcliff, Ky.) began Wednesday in her first round of match play against Nadia Luttner (Port St. Lucie, Fla.) in the championship flight. A total of four match play rounds will be contested – one on Wednesday, one on Thursday and two during the championship round on Friday. Gumm finished as the runner-up at the 2015 Western Am as she fell in the championship finals to Fai Khamborn. Gumm helped lead Florida State to the NCAA Championship Finals as the Seminoles finished in second place in the NCAA Shoal Creek Regional Championship in 2016. She finished in a tie for 15th place in the NCAA Shoal Creek Regional – her best career NCAA regional championship finish and the 11thtop-15 finish of her career. Gumm’s first career individual first place finish came at the spring 2016 Florida Challenge as she finished with her second career under par score of minus-3. She finished tied for first place in the individual standings with teammate Matilda Castren along with Taylor Tomlinson and Kelly Grassel of Florida.